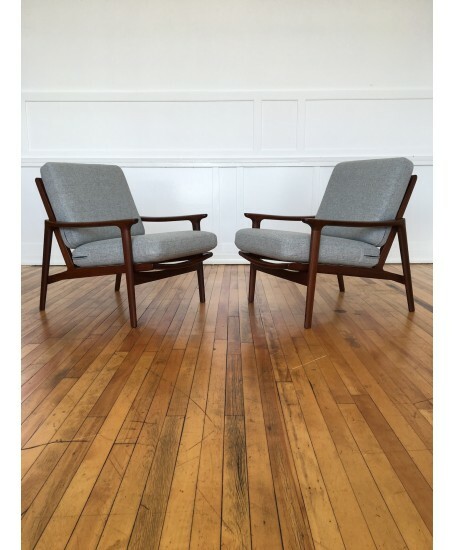 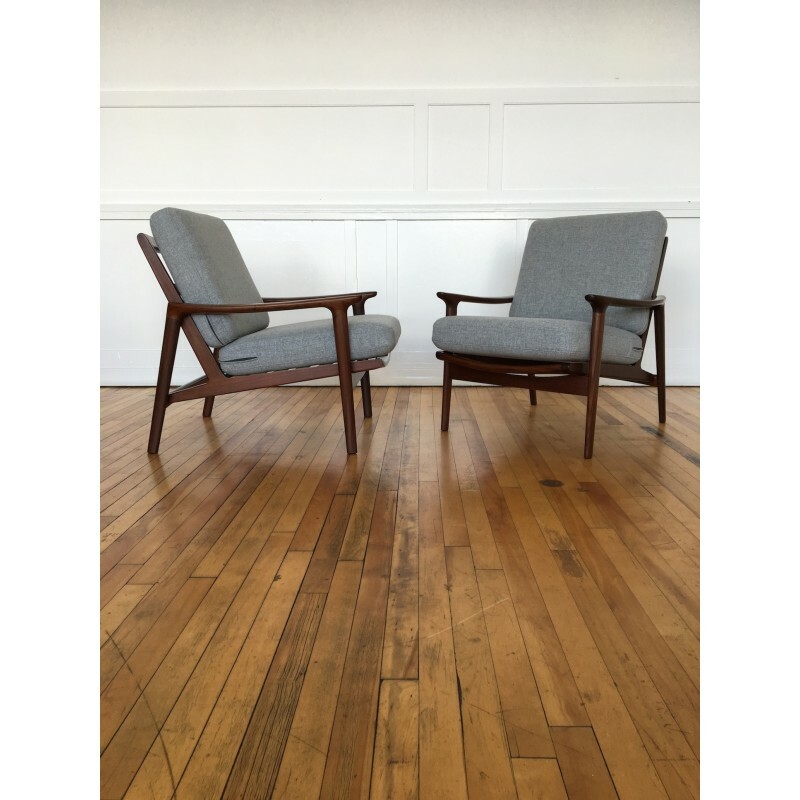 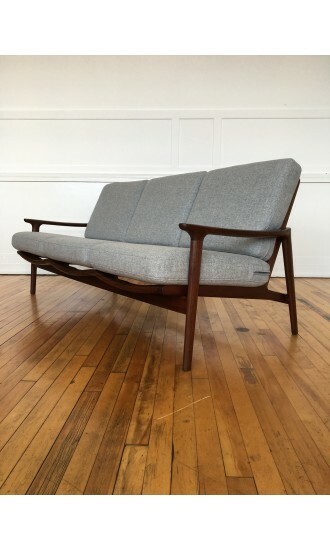 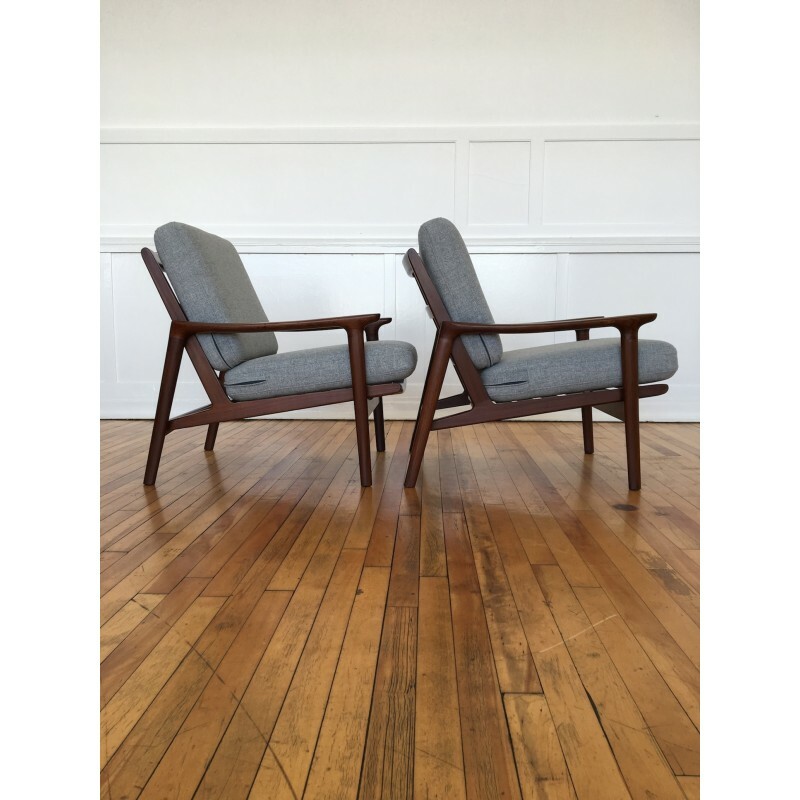 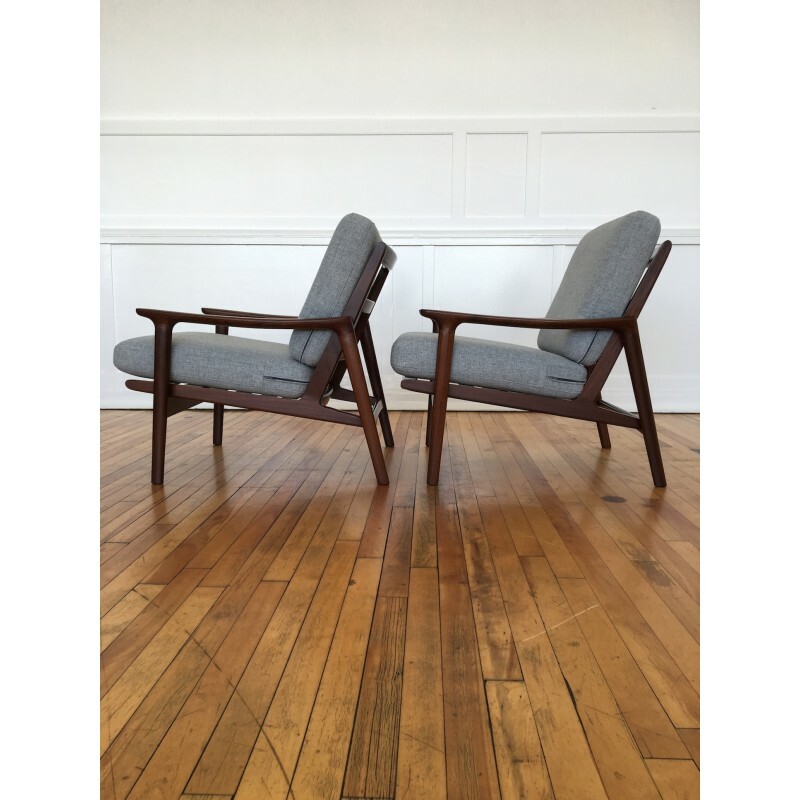 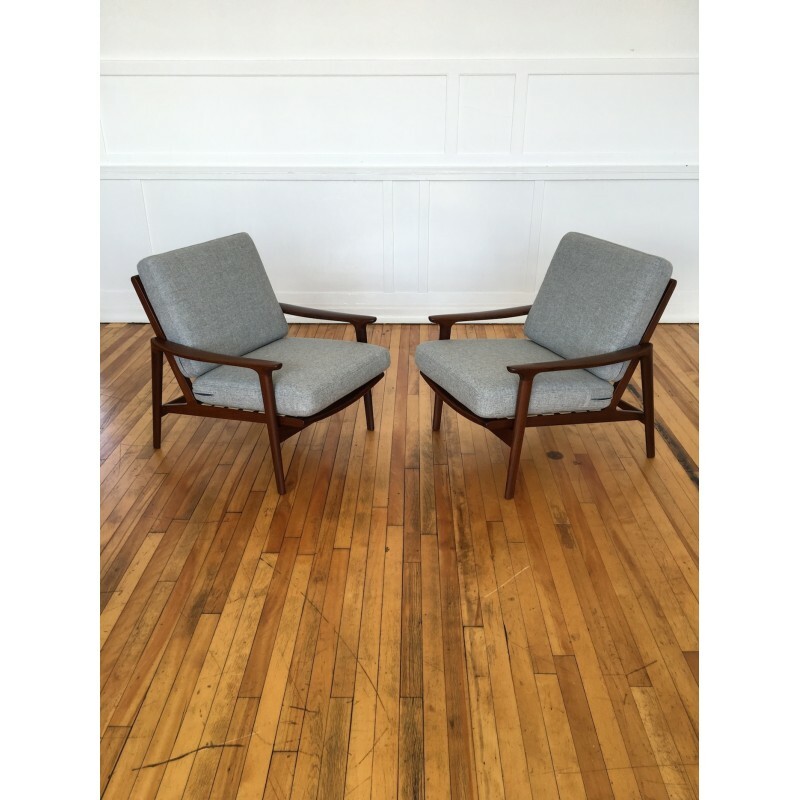 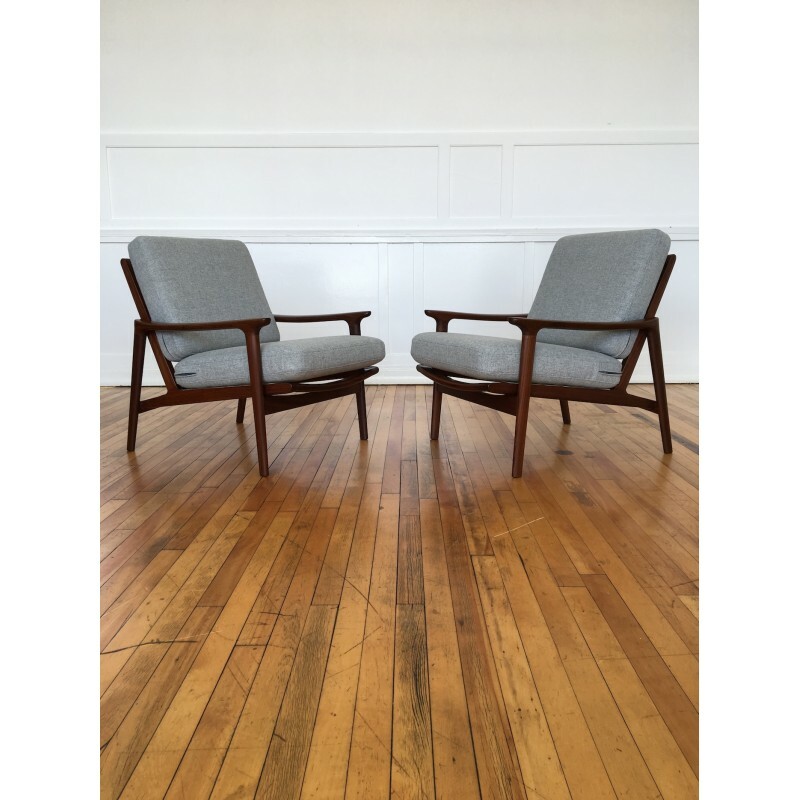 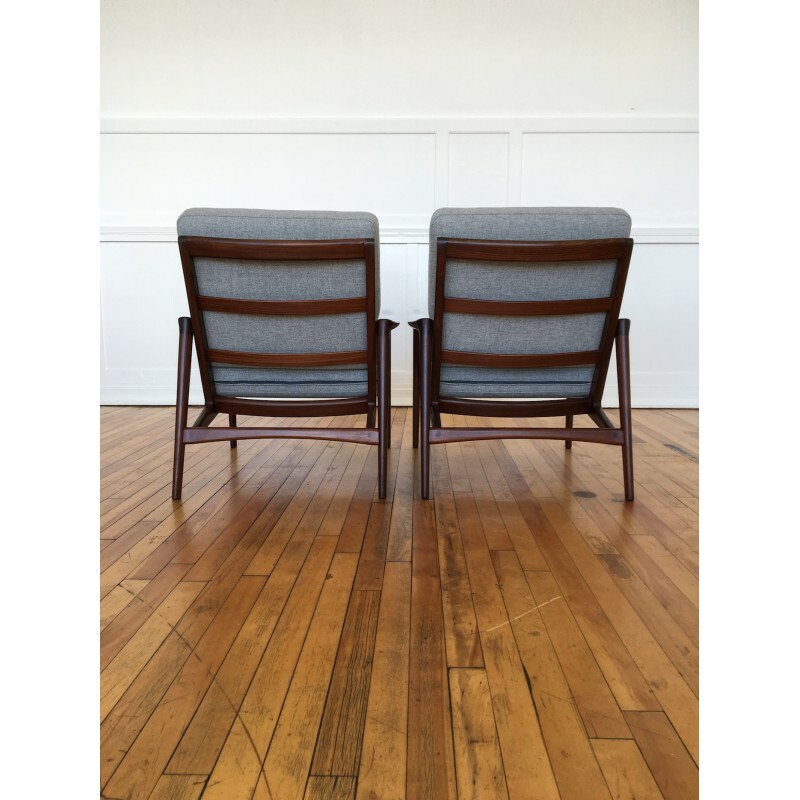 A fabulous pair of 1960's Guy Rogers New Yorker low back armchairs. 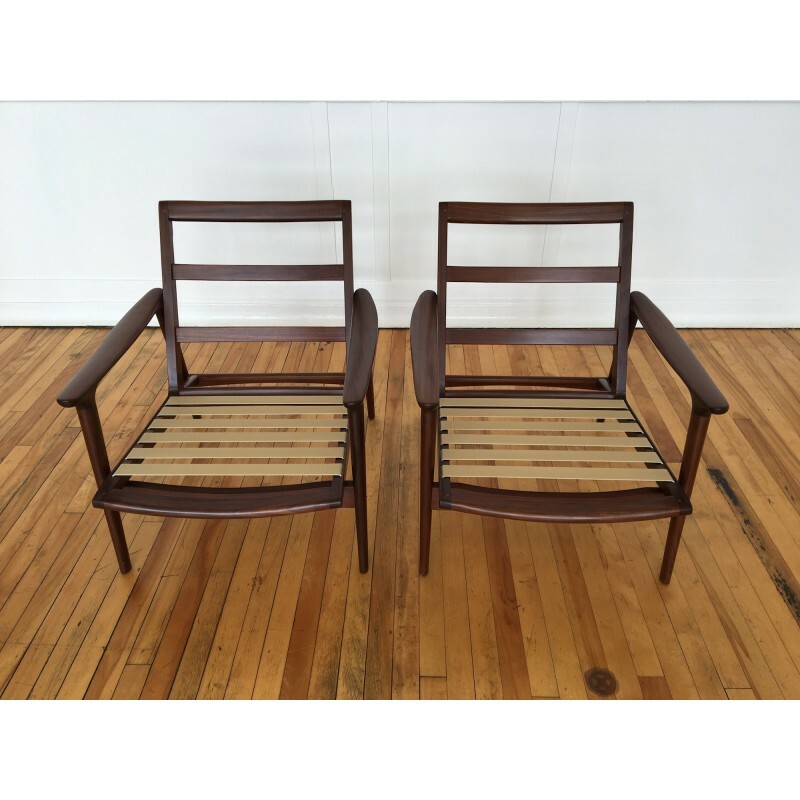 The framework is constructed from beautiful afromosia/teak. 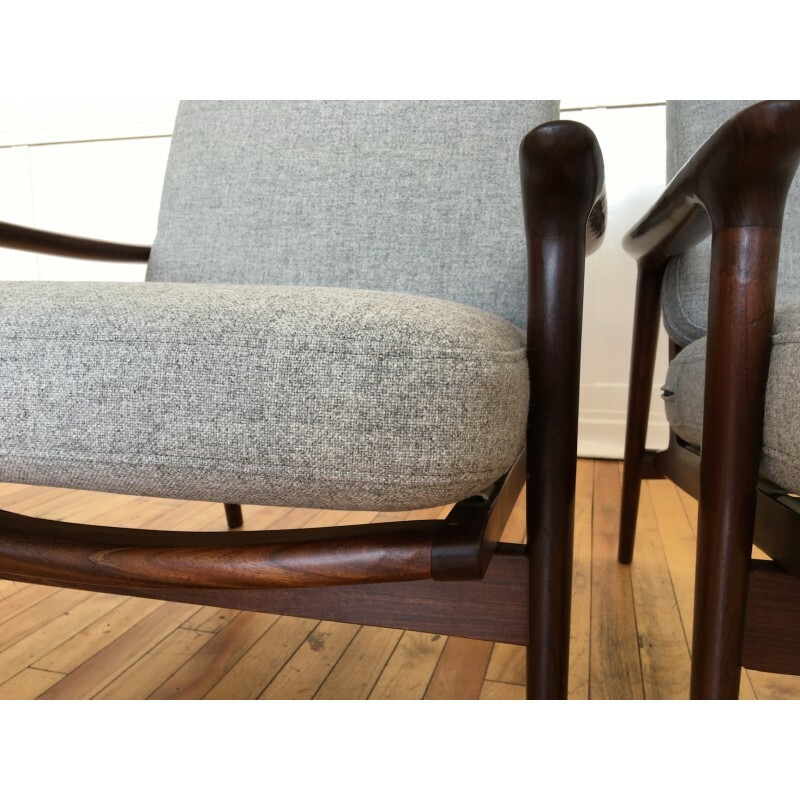 There are a few extremely minor marks upon very close inspection, but the overall condition of the wood on both chairs is excellent. 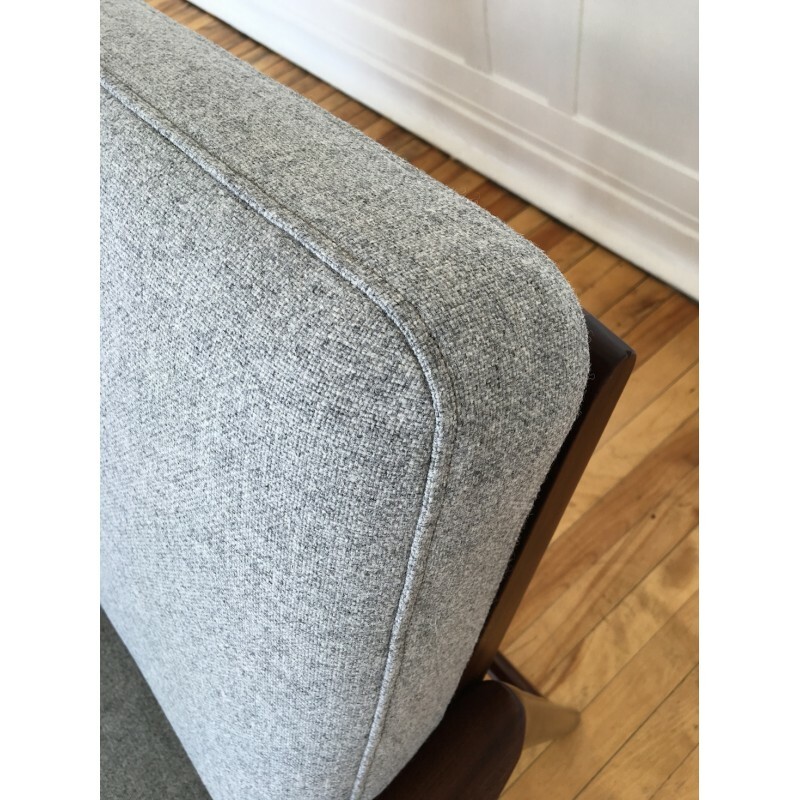 New foam cushions of the highest quality have been upholstered in a grey wool from Kvadrat's Tonica collection. 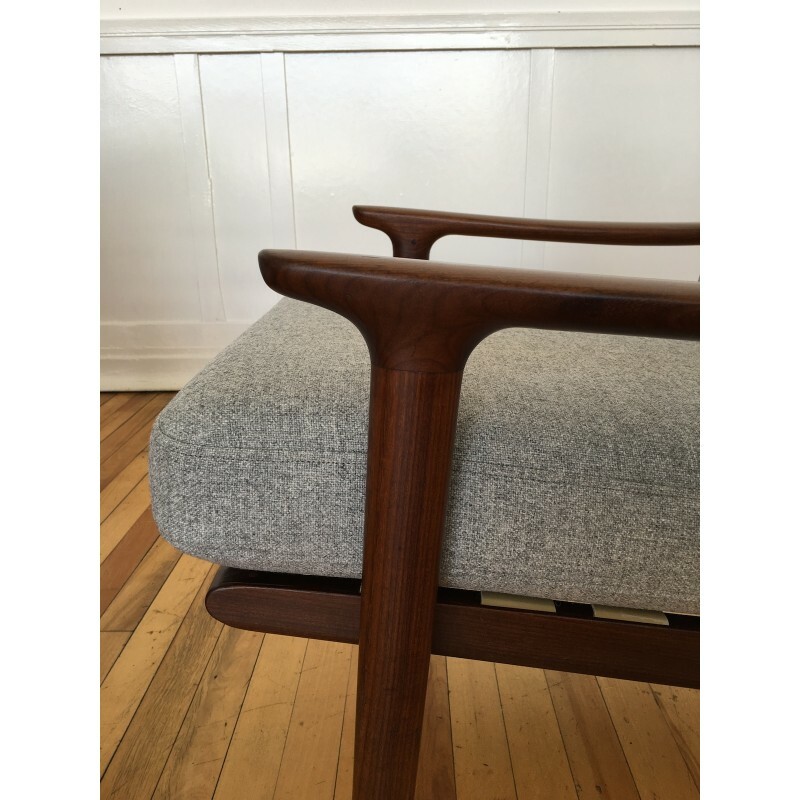 The cushions have been sewn with detailed top stitch finish to give a more exclusive look whilst also providing extra durability, similar to many high end Danish armchairs/sofas from the same period. 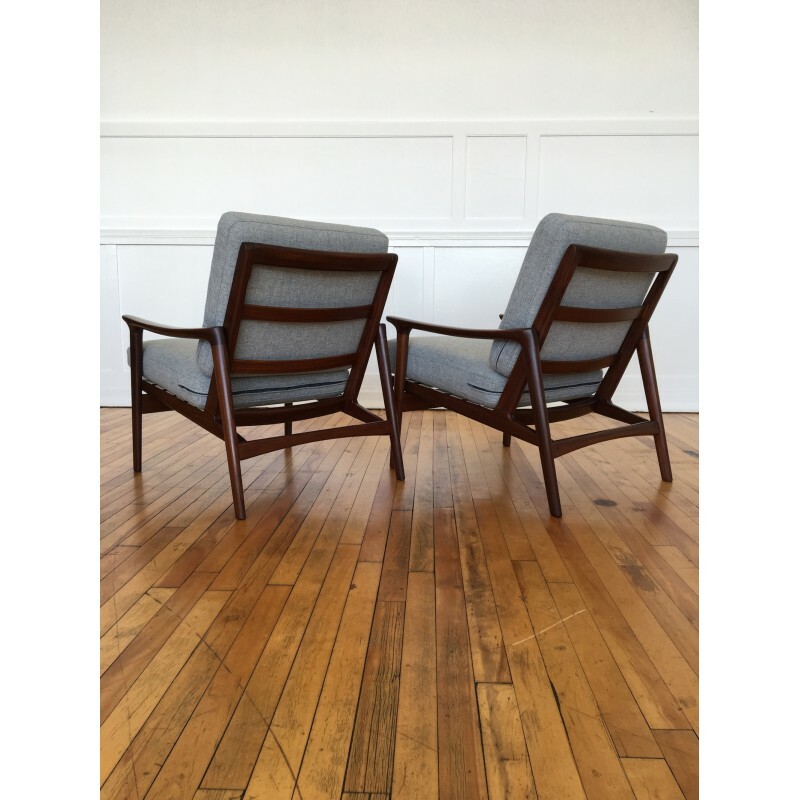 We also have a matching sofa available - please see our other listings.